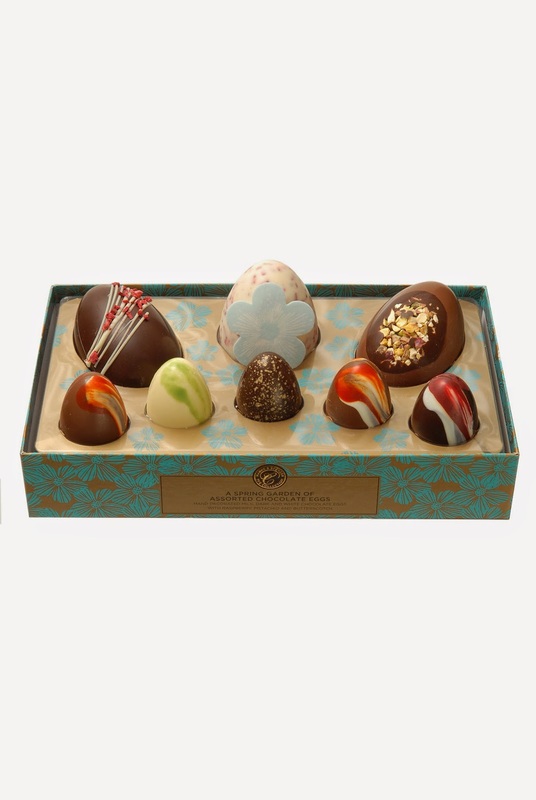 made by Lir Chocolates exclusively for MARKS & SPENCER. 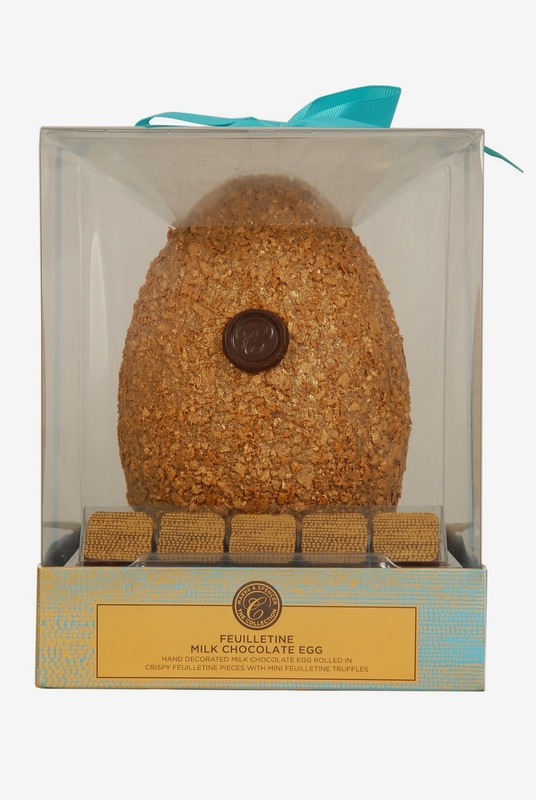 Chocolate Egg & Giant Golden Lattice Egg. 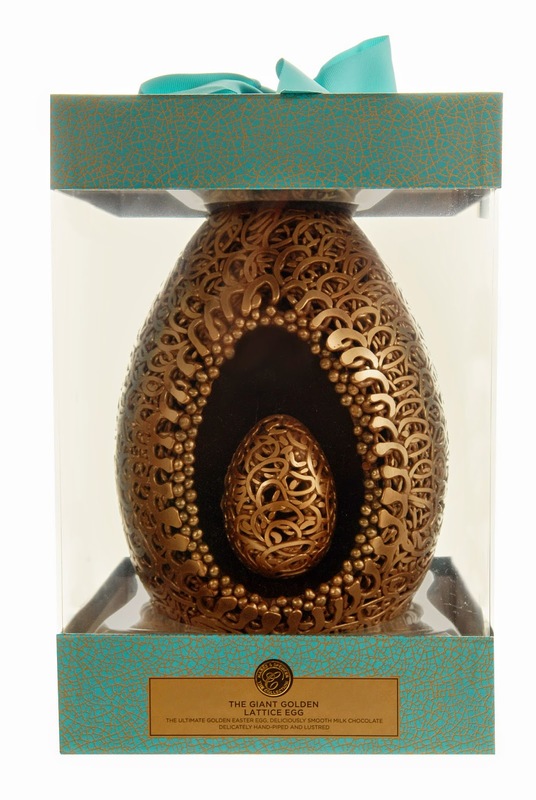 The Giant Golden lattice egg, a real piece de resistance was created in smooth milk chocolate, delicately hand-piped and lustred with gold, then finished with a mini golden lattice egg that sits proudly in the centre. 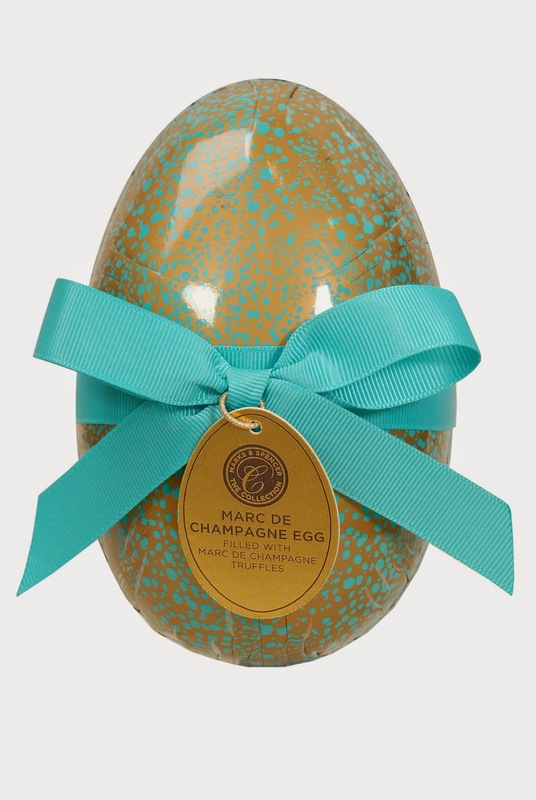 Only 7,500 of these beautiful eggs are being produced, each with a limited edition number. 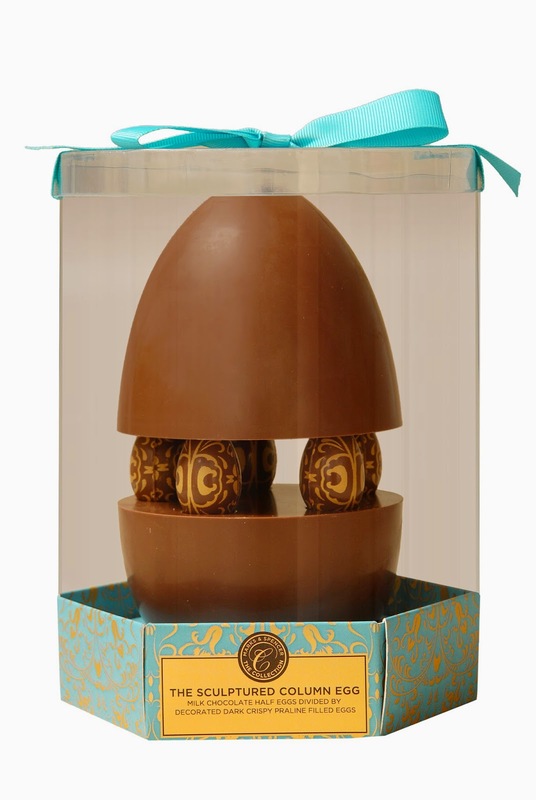 Over eight people help create the finely piped milk chocolate lattice, four people dust the egg with golden lustre and four people place each individual chocolate bead on to the egg. Make sure you snap one up before they sells out! All products are available at all M&S stores across the country or check out www.marksandspencerIreland for a store neareast to you. Have a smashing Easter .